MyRentComps is an award winning, patent pending, free online apartment market survey platform that also offers a free, password protected, property website to all multifamily rental properties in the nation. Local Apartment Associations in Florida were the first in the nation to offer this ground-breaking online market survey service and association membership benefit. In the past, apartment personnel spent precious time and money (in worker hours spent) calling, emailing, and faxing around each week to similar properties in the area to keep up with current market conditions. This time wasting way of getting current market comps is quickly being replaced with our easy and efficient system. Onsite staff, management, and owners now have access to “real-time” market comp data through MyRentComps. This moneysaving system of information sharing has been estimated to save owners approximately $3,900 per year (in worker hours spent collecting, compiling, and analyzing comp data). This does not include the continuous interruption of workers hours spent answering the barrage of unsolicited third party market survey calls and faxes. 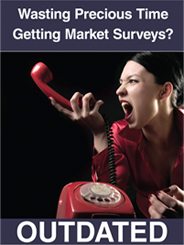 BECAUSE answering market survey calls is redundant and YOU’RE TIRED OF ASWERING MARKET SURVEY CALLS! When you use MyRentComps, you don’t have to give out any more market surveys over the phone (just send them online to get your information). MyRentComps is the most efficient way to conduct a market survey! You can update and download information at a time that’s convenient for you! MyRentComps can act as your data collection tool which will make “feeding” your automatic pricing platforms easier. MyRentComps Tracks and Trends Rental Market Data. MyRentComps produces aggregated Submarket, County, and MSA Level Reporting in participating areas (Once Participation Allows). WHAT A GREAT IDEA! How did you come up with it? In 2003, Mr. Robert E. Smith, CCIM and founder of MyRentComps, received a letter from the Apartment Association of Greater Orlando asking him to fill in a blank market survey on the apartments he owns in Thornton Park near downtown Orlando, Florida. After he received the request, he spent over 45 minutes updating the different floor plans, rents, and occupancies and then mailed the form back to be included in their market survey report. About 6 months later, he received another blank form. It didn’t make sense to him that he had to spend all that time again resubmitting all the same information when only his rents, occupancy and concessions had changed. This is when he offered to build an online market survey platform using the proprietary database he had built as a commercial real estate broker at Smith Equities Real Estate Investment Advisors (www.smitheq.com). To entice people to participate, he offered the sharing of comp data for free and a market survey star was born! By 2008, the MyRentComps platform won The National “Best Use of Technology” Merit Award from Multifamily Executive Magazine. As of January, 2011 every local apartment association in Florida (including the Florida Apartment Association) as well as the Maryland Multi Housing Association started promoting their own free online market surveys using the MyRentComps platform. Currently, MyRentComps is being offered nationally and is rapidly taking off throughout the country as personnel in the Multi-Family Industry realize the benefits of conducting market surveys online.